Today’s topic is: What do you do to celebrate a win? For the past seven years or so we have played Forto’s Fantasy Football. In early August we gear up for the draft and peruse over a multitude of stats books and prowl the Internet looking for players to fill our rosters. Talk about competition! On any given year anyone in my family has a chance to win. For the last several years, my daughter, Nicole has held strong with her dad giving me a run for my money down the stretch. 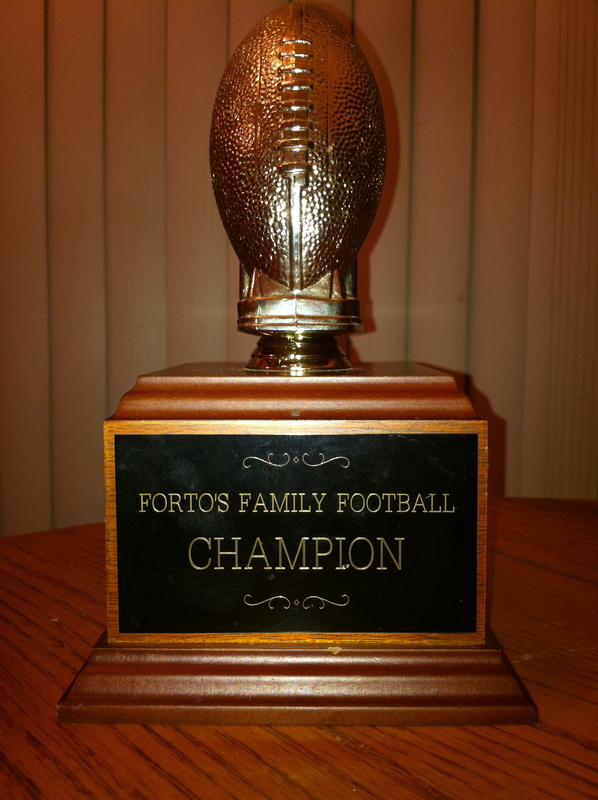 After each season we award the winning team with the coveted Forto’s Fantasy Football trophy with an engraved plaque with the winner’s name. 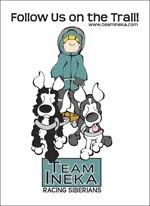 The winner gets to keep the trophy for the year until it is claimed by the winner the following season. The winner is also treated to a dinner, paid for by the losing teams, at a place of his, or her, choosing. Even though I have won for the last three years in a row I still look forward to playing each year. Last year my son Tyler and I were in Alaska and my wife Michele, and Nicole were in Colorado. We conducted our draft over Skype. It was a blast! I believe this little tradition is one of the things that keeps our family strong and teaching my kids what competition is all about. Sure it is fantasy football, but the camaraderie and passion each of us has is a good way to stick together. What do you do to celebrate a win? ← NaBloPoMo: How did you feel as a child when you lost a game?